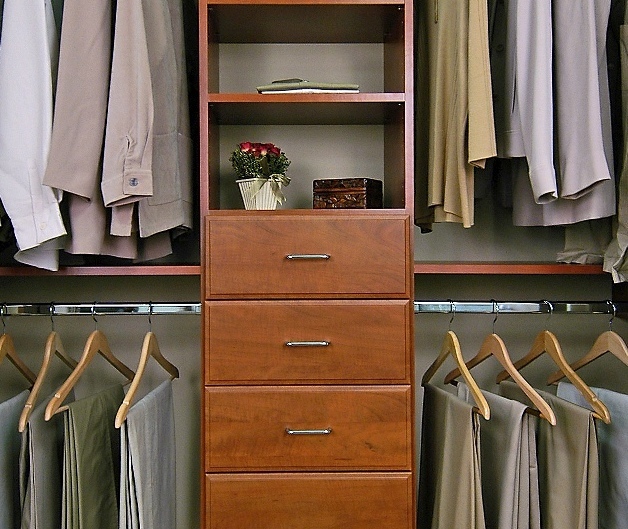 Use these tips from a Paradise Closet and Storage designer to organize your clothes closet. If you make it as easy to put away as it is to get it out, you are on the right track. Things you use often should be easily accessible in open topped containers at chest level. Store sleep on hooks. Think about the seasons, especially for footwear. 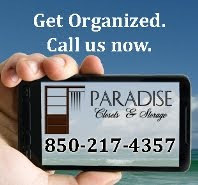 Your needs for storage should reflect your current lifestyle. End clutter by clustering. 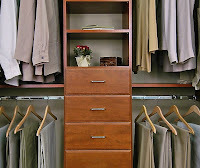 Most people like to cluster by clothing style, segregating by shirts, slacks, dresses, skirts. 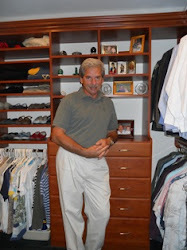 But some people prefer to cluster outfits, others feel more organized clustering by color. To simplify your life, thik about what works for you, your process of getting dressed. Open Up. Jeans, t-shirts and shorts are much easier to find stacked on open shelves. Open baskets and easy access drawers work best for smaller items like socks and undergarments. Hangers should help. Good hangers keep your clothing where it belongs, hanging! It is a good investment.